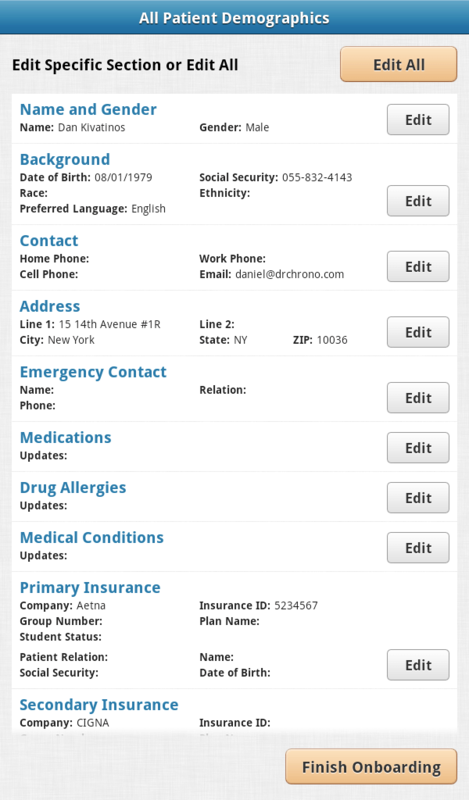 Check out our updated OnPatient and EHR app for Android! The newest app updates feature our latest API and are faster than ever! The new OnPatient app for Android! Try it out and let us know what you think; we always welcome suggestions! When will these be out? I checked Google Play and they weren’t on there. Just DrChrono Lite was on there. Currently drchrono lite is out. We recommend getting an iOS device to get the full feature currently. 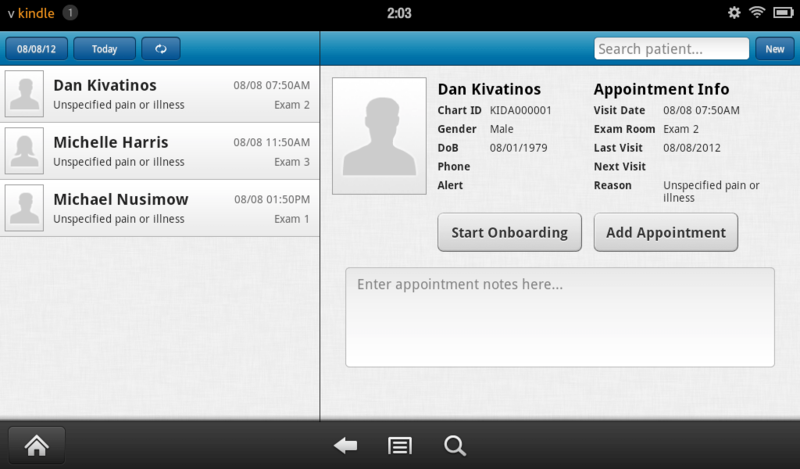 The iPad EHR has the most features of all of our apps. Where is the EHR part? All this is is a scheduler? Currently it is drchrono light on Android, we recommend getting an iPod touch, an iPhone or a iPad to get the more advanced features. 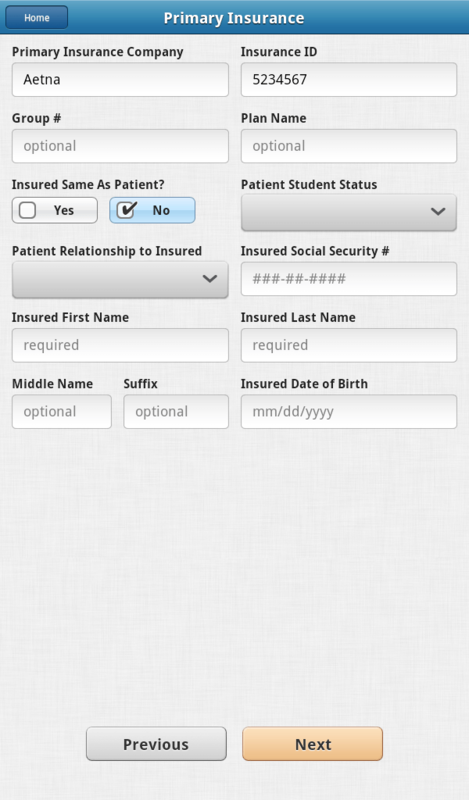 We currently only support the Patient Medical Record on the iPhone and web. You can log in through either of these as long as your doctor has given you access. Please contact your doctor to enable your access! Still only available on iOS? I have Samsung tablet and I would like to start using EHR and scheduling through drchrono. Do you recommend purchasing an iPad? I have MacBook, but it’s too bulky to carry around between patients to patients. Also, is the Cloud secure? Our commitment is to create the best experience we can, iPad does that for our user base, I would recommend getting an iPad Air or iPad Mini 2nd gen if possible. Do you recommend us to get 16GB or 32GB? Does it matter for drchrono use only? Also, the cloud for drchrono, safe?